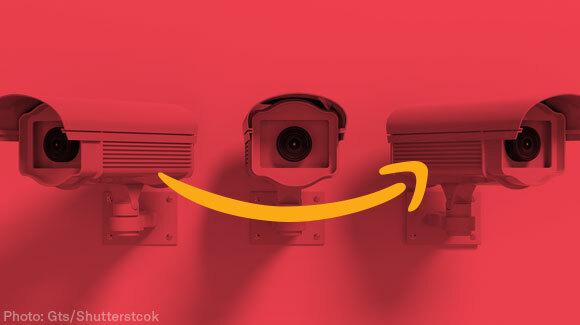 Amazon has entered the surveillance business, and they're selling to the government. Amazon's product, Rekognition, has the power to identify people in real time, in photos of large groups of people, and in crowded events and public places. At a time when we're joining public protests at unprecedented levels, and discriminatory policing continues to terrorize communities of color, handing this surveillance technology over to the government threatens our civil rights and liberties. Facial recognition is not a neutral technology, no matter how Amazon spins this. It automates mass surveillance, threatens people's freedom to live their private lives outside the government's gaze, and is primed to amplify bias and inequality in the criminal justice system. Amazon has no business allowing governments to use Rekognition – or powering a surveillance state. Already, Rekognition is in use in Florida and Oregon. Government agencies in California and Arizona have sought information about it, too. And Amazon didn't just sell Rekognition to law enforcement, it's actively partnering with them to ensure that authorities can fully utilize Rekognition's capabilities. Amazon brands itself as customer-centric and has opposed secret government surveillance. Its CEO publicly supported First Amendment freedoms and spoke out against the discriminatory Muslim Ban. Yet, Amazon is powering dangerous surveillance that poses a grave threat to customers and communities already unjustly targeted in the current political climate. We must make it clear to Amazon that we won't stand by and let it pad its bottom line by selling out our civil rights. Get out of the business of providing Rekognition face recognition to the government. You're powering dangerous surveillance that threatens your customers and communities. Stop padding your bottom line by selling out our civil rights.